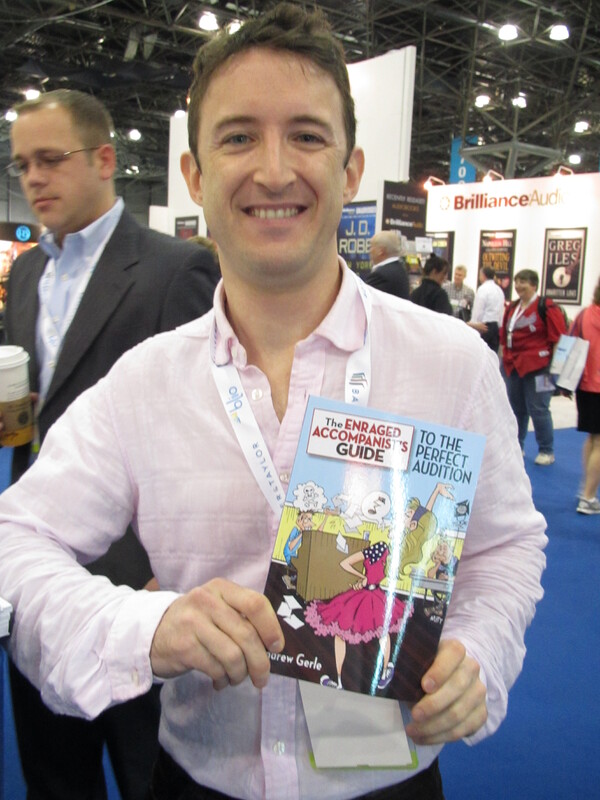 Andrew Gerle is the author of The Enraged Accompanist’s Guide to the Perfect Audition. Below is a Q&A that was done with stagenotes.net. What first sparked your interest in Broadway and Theatre? I’ve been in love with theater since I was a small child, doing plays and musicals in school growing up, then joining a children’s theater company in Tallahassee. I love music (grew up as a classical pianist) and I love stories, so it’s a perfect combination. What was your favorite subject in High School and why? I was a typical music/math geek, so I really liked math classes. It was like doing puzzles. Organic chemistry was also fun, similar puzzle-type activity. When did you decide to write The Enraged Accompanist’s Guide to the Perfect Audition and why? I had been toying with the idea for several years before I sat down to write it a few summers ago. I had played so many auditions and had begun to see patterns in the actors that were auditioning, simple pointers that clearly they just weren’t being taught. I love actors, and it frustrated me to see good ones giving bad auditions when I knew they could be doing better and feeling better about the process. Other than auditioning, what lessons can be taken away from the book for subjects like Public Speaking, Music, Psychology, Social Studies, etc.? I’ve had a lot of people read the book and see parallels in other disciplines. What I stress is not only the nuts-and-bolts specifics of audition technique for musical theater, but even more importantly, the mindset that leads to a successful audition, and a successful career. When you put too much pressure on a single audition (or speech, or performance, or athletic event), it can really get in your way. The most successful auditions are ones where the actor is simply showing themselves off to their best ability, doing what they do best, not trying to be something they’re not, not trying to please people they’ve never met. Confidence is seductive and leads to a better performance, no matter what the field. Keep reading this interview on stagenotes.net. Award-winning New York theatre composer and pianist Andrew Gerle pulls no punches in this irreverent, fly-on-the-wall guide to everything you’ve never been taught about auditioning for musical theatre. From the unique perspective of the pianist’s bench, he demystifies the audition process, from how to put together your book and speak to an accompanist to the healthiest and savviest ways to approach the audition marketplace and your career. By better understanding the dynamics of professional auditions, you will learn to present yourself in the strongest, most castable way while remaining true to your own special voice – the one that, in the end, will get you the job. Closer to CLOSER: Who ARE These People? Guest Blogger: Andrew Gerle is the author of The Enraged Accompanist’s Guide to the Perfect Audition. Below is an excerpt from his blog on Theatre Music Directors. Day one of rehearsal! Just like the first day of school or summer camp, it’s a day of possibilities, of mystery, of meeting new friends and reconnecting with old ones. But for an MD, it’s also often the first day of real work. Music usually gets taught first in a rehearsal process, so that when the director and choreographer start to put the show on its feet, the actors are at least familiar with the music they’ll be singing. While it’s nice to get a jump on learning the music, it also means that the MD has little opportunity to get to know the cast members before starting to work with them, and knowing an actor’s personality and process is invaluable when teaching them their part and helping to craft their performance. A large part of training to be a director is learning how to speak to actors. A sculptor creating a statue uses chisels and hammers to reveal the vision in his head out of a hunk of marble; a director must use words and images to hew a coherent, truthful and moving performance from the raw material of an actor. Luckily, the actor contributes to this act of creation, but if a director doesn’t first identify the exact material he’s working with and choose the right tools, the performance (and actor) may crumble into dust. So it is with a musical director, who must collaborate with countless actors each with their own training and process. The necessity of jumping straight into rehearsals with actors who are often strangers makes being able to quickly assess and identify each actor’s working personality a very useful ability. A sensitive music director can then tailor their approach to teaching and polishing songs based on each actor’s individual strengths and weaknesses. Most actors need no special handling or consideration, and work very well in any rehearsal situation. There are a few Types, however, that benefit from special consideration. The following list is by no means exhaustive, and meant to be taken in the glib vein of over-generalizations. But there is truth here, and though no actor is only one of these personalities, I think we can all (actors and “civilians” alike) find parts of ourselves in at least one of these. For more please visit Theatre Music Directors. Tags: Andrew Gerle, Applause Books, closer to closer, The Enraged Accompanist's Guide to the Perfect Audition, Theatre Music Directors, Who ARE These People? Guest Blogger:Andrew Gerle is the author of The Enraged Accompanist’s Guide to the Perfect Audition. Below is an excerpt from his blog on Theatre Music Directors. In the performing arts (and I’d say most of life in general), the quality and quantity of time spent in preparation for an event is more than 75% of what goes into its being a success. As with the casting process, being fully prepared going into rehearsals can make the difference between struggling to get your job done and participating in a dynamic collaboration. Identify your musical needs, articulate your musical-dramatic vision, and learn not just your music but everyone else’s as if you were going on tomorrow in each role. I begin preparing a score for rehearsal with my piano part. I know that I have to be not only comfortable playing the notes, but also know it so thoroughly that I can also listen to the actors as they’re learning their notes and starting to make musical and acting choices. I can’t be worrying about my accidentals and rhythms and keeping an ear on the actors’ as well. And my first priority is to the actors – I can always perfect my part at home after rehearsal, but for actors who don’t have great musicianship skills and/or don’t have a keyboard at home, they are depending on me during these short rehearsal hours to give them what they need to get their parts under their belt. In learning the piano part, obviously I start with the notes, the technical learning of the score. This means having a pencil handy as I practice, circling chords that always take me by surprise, writing in fingerings, practicing page turns (and Xeroxing and making fold-outs whenever necessary), reassigning hands if stretches or middle lines are hard to reach, and beginning to think about endurance if the score is particularly athletic (like Closer). I don’t want to feel like I’m merely reproducing the notes when I get to rehearsal; I want the music to be a part of me. I don’t want to think about what I’m playing, I want to be able to think about why. This is what makes a song come alive and become part of the active storytelling, and this is what helps actors create vivid and truthful performances. Guest Blogger: Andrew Gerle is the author of The Enraged Accompanist’s Guide to the Perfect Audition. A post from Andrew Gerle’s blog on Theatre Music Directors. So now you have a great cast that is perfectly suited to all the musical challenges the show presents. Congratulations! Time to think big. When I am music directing a show and am in the middle of rehearsals, I find it is very easy to lose the forest for the trees. I get caught up in the nuts and bolts of preparing actors’ performances on a vowel-to-vowel, cutoff-to-cutoff level and neglect the show as a whole. Most audience members won’t notice if a few diphthongs don’t match; most everyone will notice if whole sections of the show are sluggish, if every song has the same feel, or if the musical energy or style of the evening is lifeless, anachronistic, or simply workmanlike. Starting the rehearsal process with a clear vision for the overall musical through-line of the show will guide every musical choice you make on smaller issues, and will keep actors from ingraining feels, tempi, and stylistic choices that then have to be adjusted near the end of rehearsals when you start doing runs and realize the flow of the show isn’t working. Musical tone and dramatic tone are intimately related. The entire creative team, from MD to director to all the designers, must be working on the same show. Is it a naturalistic show with characters who are consistently in the moment in their reality? Musical choices for that show would come solely from the dramatic moment – the music is there to express their inner emotional life and must be motivated from the text and the dramatic beat. Is the show a breezy farce, firmly rooted in musical comedy tradition? In that case, musical numbers will very likely be referencing well-known styles, composers, dance crazes, even specific songs and actors. Is it a show that mixes somewhat naturalistic scenes and songs with moments of heightened reality, perhaps including dance sequences? The music must act as the glue or foundation to hold all the disparate parts together and create a unified whole. I compare the score to Closer Than Ever to a series of ballroom dance routines. Besides having a lot of Latin and other dance influences, this score perhaps more than any other I can think of is a masterpiece of grooves. In a professional ballroom routine, every finger, every angle of the head and turn of the foot must be meticulously rehearsed and set, but in the end feel effortless, unstudied and organic. If I can identify the rhythmic heartbeat of each number, I can be aware of how it plays against its neighbors and control the pace of the evening, moving ahead when the audience is ready, relaxing the feel when they need a break. Keep reading at Theatre Music Directors. Guest Blogger: Andrew Gerle is the author of The Enraged Accompanist’s Guide to the Perfect Audition. Casting calls can be very rewarding, and with sufficient preparation (see Casting Pt. 1) can yield excellent results. For many productions, this is the only way to find your cast: send out the breakdown, then either see who shows up, or see who gets submitted and have your casting agent (or artistic director, or director) sift through the resumes and schedule appointments. However, with productions of a slightly (or much) greater profile, there starts to be the possibility of getting a star, or semi-star, or what people who spend their time looking at things like Gross Weekly Box Office Receipts like to call a Name. What is a Name? Theoretically, it is an actor who, simply by having their name on the poster or flier or Playbill ad, will make someone want to buy a ticket and see the show, hopefully people who wouldn’t otherwise do so. If it’s a new show or a very large production, a name can also help a producer raise money. There are a lot of variables and questions built into this strategy. For example, who exactly will the Name get to buy a ticket? Answer this question and you will determine the size of Name you need to get the result you want. If you’re aiming for a general tourist audience, people who only see theater on their once-a-year trip to the Apple and who otherwise watch movies and TV, nothing less than a bona fide star is going to make them choose your show over another, or a movie, or a museum, or shopping. But these days, who is really a star of that magnitude? Meryl Streep? Yes. Hugh Jackman? Yes. The latest boy band sensation? Probably (for better and for worse). Start going too much further down the entertainment food chain, however, and you’ll quickly get diminishing returns for this casual, occasional theater audience. Why am I dwelling on this? Because casting a Name often necessitates a trade-off, especially in the music department. The names I listed above are the rare kind who are huge stars with real singing chops and who can truly carry a show. Most Names, however, that are strewn about a casting brainstorming session are not primarily singers. They may work very hard and make the most of the instrument and technique they have, but based solely on the voice and the musician, would not be an MD’s first choice. They are movie stars, or personalities, and if you can get one to be in your show, of course you do everything you can to make that happen, accepting the tradeoff of a non-stellar voice for a huge advance and a guaranteed run. But when you go further down the list, an MD has to start to protect the show from Name-grabbing. Will the B-list ’80s TV star really pull in enough extra ticket sales to make up for the fact that he can’t sing, can’t deliver a Broadway-sized performance and will get shredded in the papers? Might it be better to cast a first-rate Broadway veteran who will bring the roof down and get rave reviews? Producers are wary (and rightfully so) of counting on the critics to sell their show for them, and obviously reviews can’t sell advance tickets before they come out. But it is my opinion that a fantastic, lesser-known actor is better than a mediocre one with a Name that generates merely a shrug and a “He’s still around?” There are few things more heartbreaking than a production that could have been great saddled with an actor who is neither wonderful in the role nor selling tickets. But let’s move to another kind of potential target audience member, the one who is at least somewhat theater-savvy, who goes to shows fairly regularly, who might even consider themselves a “fan”. These theater-goers are familiar with probably a couple dozen first-rate theater actors and would be excited to see any one of them in a new role. I cannot imagine a production that wouldn’t want to attract this kind of audience member. I grew up an only child. Skills like sharing, compromise, and collaboration did not come easily; my basic attitude towards life was “Don’t touch my stuff.” But through years of school, summer camp and sleepovers, I came to realize that this was not a productive or happy way to interface with the world and I gradually learned to play with others. These hard-learned lessons are perhaps why I now so enjoy working in the theater, where sharing and collaboration can produce such remarkable results, and compromise between two ideas can mean finding a “third way” that is better than both. When I first started out in musical theater, working primarily as a music director, I had no guide as to what an MD’s responsibilities were. “Teach the music and make it sound good” was basically it, and my classical training may have chimed in with “Honor the score and the composer’s intentions.” My piano and conducting skills, knowledge of the repertoire, and general good taste carried me along, until, after many years, I realized that what I was doing was much more than teaching notes and reproducing a score: in a musical, a musical director’s responsibilities reach into every aspect of the production. In addition, my piano and accompanying technique had grown in very specific ways to reflect the demands of different styles of musical theater writing, and the requirements of the job. Over the past 17 years, I have had the pleasure of accompanying and conducting a dizzying range of artists and productions, from a Korean pop star with the Seoul Philharmonic to the Williamstown cabaret, from Golden Era legends like John Raitt and Kitty Carlisle to Forever Plaid, bus and truck opera tours to an off-Broadway Marx Brothers romp, and pops concerts in Paducah, KY to Betty Buckley at the Kennedy Center. In every situation, I have had to hone my skills (and learn plenty of new ones) as a musician, a leader, a collaborator, a shrink, a sound technician, and a vocal coach, and through it all, still “teach the music and make it sound good.” But I acquired these skills through trial and error, production to production, building on what I had learned the last time and adding a couple more tricks. Without any guiding set of principals, I was merely improvising techniques on the fly without really articulating what I was doing, what I thought I should be doing, or what I wanted to be doing. So I was excited when David and Geraldine approached me about writing a column for this website. Initially, they had asked me to talk about auditioning and audition repertoire, based on my recent book, The Enraged Accompanist’s Guide to the Perfect Audition. But what we eventually came up with is much bigger in scope, and I think more interesting. Moreover, it will allow me to think more deeply about all of the above questions and start a conversation with the community about them. Keep reading this post on Theatre Music Directors. 1) Make sure you know what you want the accompanist to play before you start singing. That means if there’s a piano intro, know what it is, when you come in, and how to get your note. If you want something other than the intro that’s in the music (like a bell tone), make sure it’s clearly written in the music. 2) Know how to give the accompanist a clear tempo. This is something you’ll want to practice with a pianist, because giving tempos can be difficult – sometimes, the vocal part has a lot of rests in it and you’ll want to sing the piano accompaniment instead. 3) Put some fresh time in with the text of your song(s). Are you really honoring every word and making each phrase mean something unique and important to you? Why is your character singing this song right now, and not yesterday, not two hours from now? What does your character hope to accomplish, express or figure out by the end of the song? Remember, the auditioners (or “tablepeople”, as I call them) aren’t looking to hire your voice, they’re hiring you, so make sure your personality is shining through on every line! Andrew Gerle is a composer, accompanist, and playwright. He is the composer of six acclaimed musicals, and his opera “The Beach” was excerpted by the New York City Opera in May 2011. A sought-after vocal coach, he has worked at NYU’s Tisch Graduate School of Acting and is currently a lecturer at the New York Film Academy and Yale University. For more information, visit andrewgerle.com. Sheri Sanders is an actor, singer, and teacher. She created her master class, “Rock the Audition,” in 2004, and since then has become a premiere rock-audition and rock-music repertoire coach. She travels extensively, teaching students and their instructors the art of holistically capturing the essence of the rock musicals prior to audition. For more information, visit rock-the-audition.com. Award-winning composer, musical director, pianist, and accompanist Andrew Gerle shares the secrets from the piano bench in a free masterclass on musical theater audition technique. Please bring your book of music with you if you would like personalized tips on your technique. Learn how to interact with the accompanist, how to improve your performance, and find out what they’re saying about you after you leave the room! In addition to this free workshop, at 5:45pm, Andrew Gerle will come upstairs to sign copies of his brand new book, The Enraged Accompanist’s Guide to the Perfect Audition. 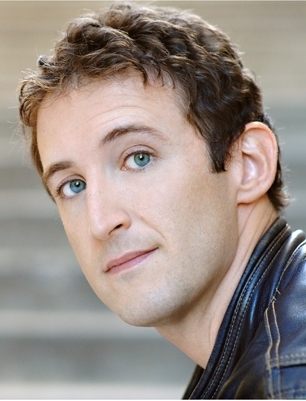 Andrew Gerle has played thousands of auditions for Broadway, off-Broadway, and regional productions, and has served as an accompanist and musical director for major Broadway and recording artists over the past 15 years. He is a recipient of the Jonathan Larson Award, four Richard Rodgers Awards, and the Burton Lane Composer’s Fellowship from the Theatre Hall of Fame. He is the composer of six acclaimed musicals, and his opera “The Beach” was excerpted by the New York City Opera with City Opera singers and an 80-piece orchestra. A sought-after vocal coach, he has worked at NYU’s Tisch Graduate School of Acting and is currently a lecturer at the New York Film Academy and Yale University.